These easy polenta chips are a much healthier (and delicious!) alternative to regular potato chips and they also make a great side or snack for the entire family. 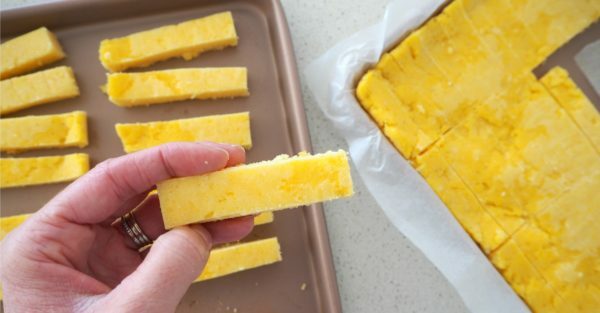 You can also make these polenta chips in advance and freeze them until needed. Just pop them into a freezer safe container after cutting into chips and then cook as normal when needed. Step 1. Line a 34cm x 24cm tray with baking paper and set aside until needed. Step 2. Place the vegetable stock into a large saucepan and bring to the boil on your cooktop. Step 3. 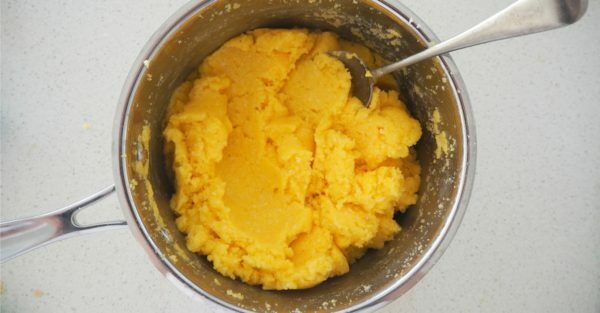 Reduce to a medium heat and slowly add the polenta to the boiling water, whisking as you go. Step 4. 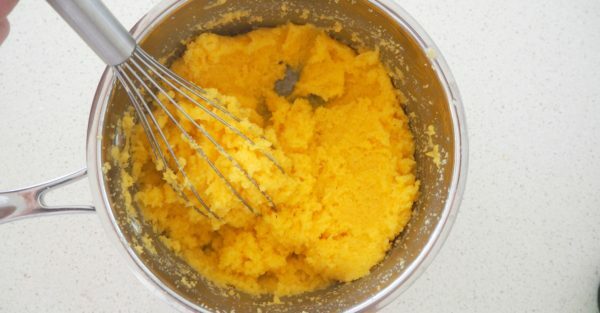 Once all the polenta has been added, whisk for 3 – 4 minutes to cook. Step 5. Remove the saucepan from the cooktop and working quickly, add the grated tasty and parmesan cheese, crushed garlic, butter and salt and mix with a large spoon to combine. Step 6. Transfer the mixture to your prepared baking tray and use the back of a spoon to spread and flatten before popping another piece of baking paper on top and carefully smoothing it further. Step 7. Place the tray into the fridge for one hour to chill until it’s completely cooled. Step 8. Preheat your oven to 200°C. Step 9. 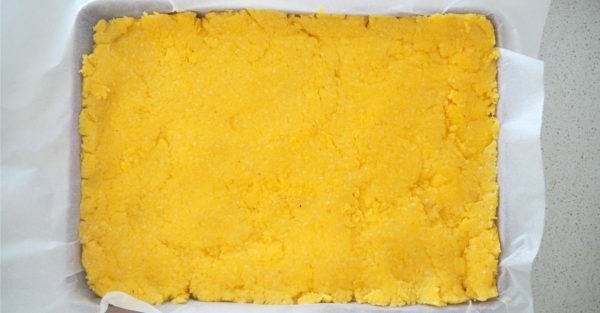 Once completely cooled, cut into ‘chip’ size pieces and transfer to two non-stick baking trays to cook for 25 – 30 minutes or until the Polenta Chips are golden.